There are two types of people in this world: those who are passionate about the Web, and those who are not. available to all people, whatever their hardware, software, network infrastructure, native language, culture, geographical location, or physical or mental ability. It’s one thing to agree with this statement, but it’s another to believe in it religiously. I’m lucky enough to count among my friends several people who fit into this group. These people exude an energy that is incalculable: at user group meetings and conferences people hover around them to hear what they have to say. Romantics of this caliber are influential, driven, and inspiring. 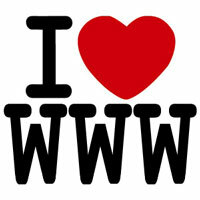 Entrepreneurs love the Web because it levels the playing field. A young, two-person company can create a web presence that is more impressive and looks more professional than an established, multi-national corporation. Entrepreneurs continually invent new ways to make money on the Web. The potential audience for an online business venture is global, and web entrepreneurs have the ability to recognize and capitalize on this fact. Only on the Web can a business go from being worth almost nothing to being sold for billions of dollars in only a few short years, and the entrepreneurs are the ones who risk everything to make that happen. By its nature the Web encourages collaboration and innovation. Open source success stories like Apache, Firefox and Linux all testify to the fact that a community-driven effort can produce amazing results. I love the way that techies who are passionate about developing for the Web, regardless of the language they use, constantly aim to improve themselves. There are more blogs about PHP than there are about gardening, sailing and parenting combined (source: Technorati). People share new tips that they’ve learned; they build on the ideas of others; and the industry keeps moving forward as a result. Generalists have their fingers in several pies. They are both creative and technical. Generalists can write server-side code, client-side code, and design something pretty; they are quick learners and are incredibly adaptable. Generalists demand variety in their job to stay motivated—an environment where they can alternate between left- and right-brain tasks is what provides them with job satisfaction. This category is where I consider myself to fall—my software development background means that I’ll always be intrigued by things technical, but the artist within feels cramped if I’m not doing something creative. The Web is the one medium where I get to do both; my current job lets me do all that and educate others at the same time through the books, articles and blogs that we publish. Are you one of the above breeds, or do you know someone who is? SitePoint is looking to hire people who, like us, are passionate about the Web. You may recognize yourself as fitting into one of the above categories, or maybe all of them (although chances are that if you’re an entrepreneur, you’ve probably got your own plans). Specifically, though, we’re trying to fill the position of Technical Editor, so we’re looking for solid technical skills. The job is based out of our office in Melbourne, Australia. You can read more about the position, and apply online. It’s the exact same role that I have—working on books, articles and other internal projects. I find it stimulating, challenging, and rewarding, and the work environment is a lot of fun. 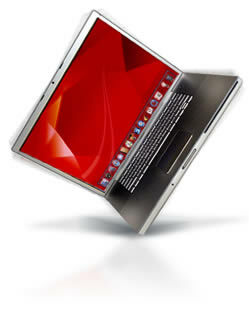 Oh, and if you successfully refer someone via our online referral form, we’ll give you a MacBook Pro to say thanks. What Did You Say? A Free MacBook Pro? That’s right. Passionate, talented people are hard to find, so we’re prepared to make it worth your while. Again. As we’ve done in the past, feel free to refer your friend: if we hire them, we’ll happily send you a shiny new MacBook Pro for your trouble. Refer yourself, and you’ll be eligible for the computer and a great job. Yes this is for real. So, where’s your passion? We’re itching to hear from you!